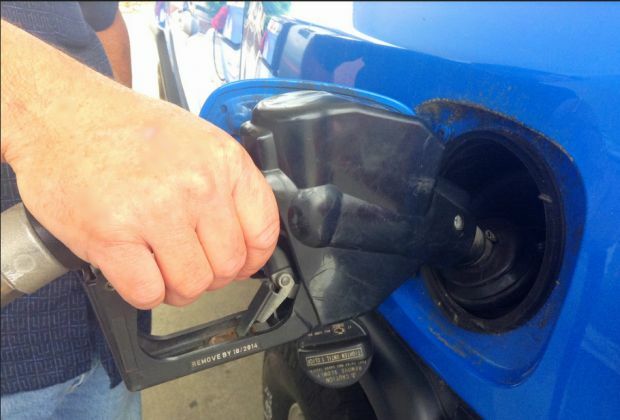 After dropping eight cents last week, Northeast Ohio gas prices are down by another penny this week to $2.309 per gallon according to AAA East Central’s Gas Price Report. Great Lakes and Central states’ gas prices are showing signs of volatility. On the week, the majority of the states saw prices decrease, but Ohio (+4 cents) is among the handful of states that are paying more compared to last week. Despite Ohio’s gas price increase, the state remains in the nation’s top ten least expensive markets. Gasoline inventories continue to build week over week since the start of the year. According to the Energy Information Administration’s (EIA) latest report, inventories built by 740,000 barrels to total at 58.3 million barrels. Inventories are just 1.8 million below last year this week. At $2.52, the national gas price average is the cheapest pump price seen this month. The national gas price average for the month of February is $2.56, which is 29-cents more expensive than the $2.28 average of February 2017. On the week, gas prices decreased 1 cent. At the close of Friday’s formal trading session on the NYMEX, West Texas Intermediate increased 78 cents to settle at $63.55. Oil prices are likely to continue rebounding this week after the EIA’s latest petroleum report revealed that U.S. crude inventories unexpectedly fell by 1.6 million barrels. The drop gave some market observers hope that global demand growth this year may help drain global inventories further, even with U.S. production continuing to grow.